Last October I was diagnosed with Hashimoto's Thyroiditis. I've been on thyroid medication for 6+ years but for the past while I just couldn't get to a point where I felt good. I felt tired and headachey a lot of the time. My stomach often hurt and by night time I was often so bloated I looked 5 months pregnant. Sometimes my joints would hurt. 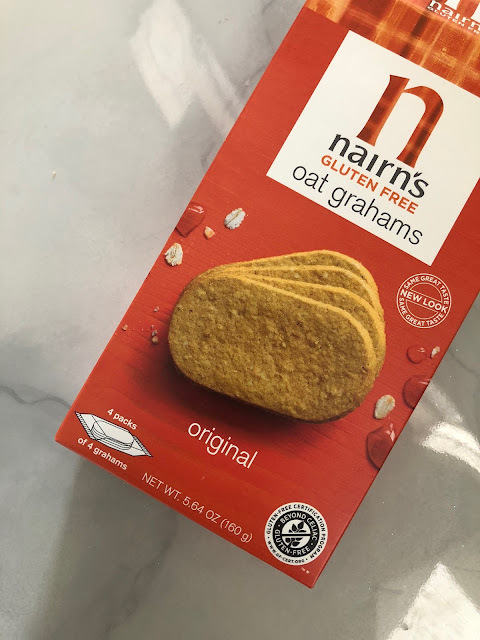 I tried a new doctor (my 4th in 4 years because they'd just test my thyroid levels, tell me I was fine and send me on my way) and she promptly diagnosed me with Hashimoto's and told me I probably needed to change my diet since Hashimoto's is an autoimmune disease with related food sensitivities. On her recommendation, I cut out gluten, dairy, corn, soy and sugar for 6 weeks then slowly added them each back in one at a time to gauge how my body reacted to each. As it turns out, I'm sensitive to everything on that list but corn. My diet looks really different these days- mostly meat, veggies, fruit and rice. On one hand, it totally stinks. But on the other hand, I feel SO MUCH BETTER. It's been a few months now and I don't really crave sugar the way I used to but most days I still just need a little something small and sweet in the afternoon to get me through. These oat grahams have a super clean ingredient list and are so so good with a square of really dark chocolate. I found them at Sprouts (which is my new Mecca, bless them for all their GF/DF options!) but they're also available on Amazon. My face is way struggling this winter- it's red, dry, irritated, and breakout prone. I finally decided my moisturizer wasn't cutting it and found this little guy at Sprouts (I live there now). It's been about a week and my skin is so. much. happier. The oil has a nice light scent and is so moisturizing. 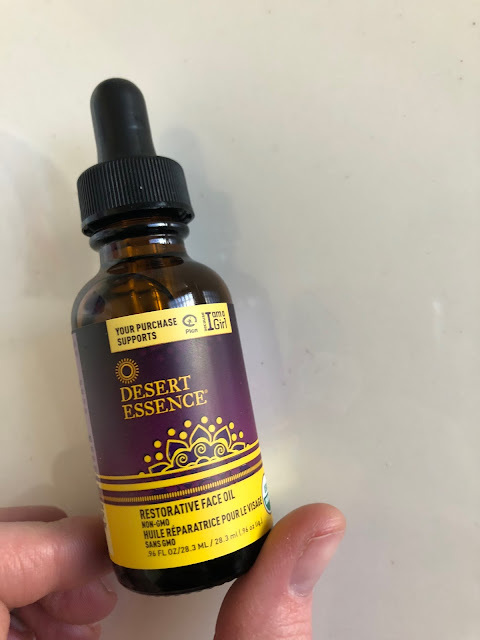 I started by wearing it only at night because it left me a little too shiny for daytime but I gave up on that and have been putting it on in the morning too because my skin needs it. I've even been mixing it in with a little of my my redness reducer before I put on makeup to make everything glide on more nicely. I'm a little more glowy than usual (I prefer a matte face) but I don't look greasy. I suspect my whole body could benefit. I should just bathe in it. Looks like the brand is on Amazon- they've got so much amazing sounding stuff! 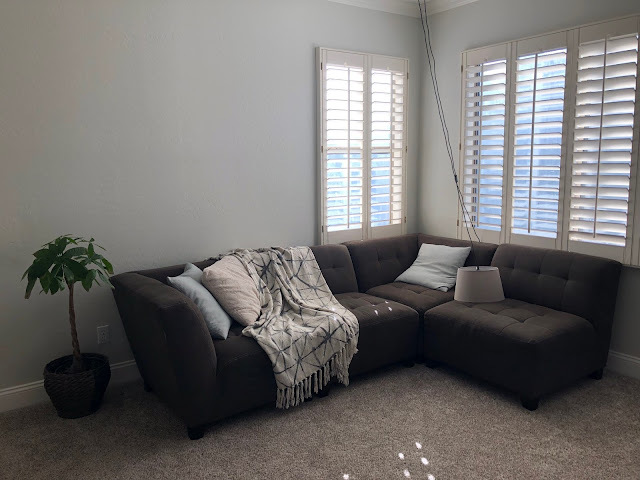 I was kind of over our front room so I dragged almost all of it piece by piece upstairs and made the bedroom sitting area we've been wanting for AGES. It needs art (we have a canvas to hang, just need to get some stretcher bars) and hardware to hang the light properly but we love it SO MUCH. I'll steal away during the day to read under the blanket. At night Aaron will sit on the couch and do his end of day Netflix watching on the couch so we're at least in the same room while I'm trying to sleep. The afternoon light in our bedroom is fantastic and it's such a great place for me to rest and regroup after I put the Caboose down and before the boys get off the bus in the afternoon. This is a true crime/comedy podcast. Yes, you read that right. 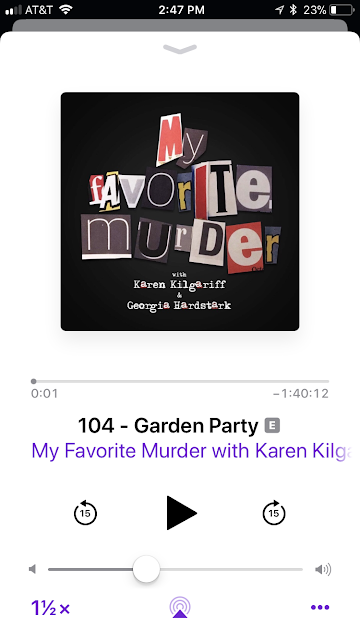 In each episode Karen and Georgia tell stories of murder and mayhem while somehow injecting both humor and compassion. There have been times where I have been laughing my head off and then crying within a 30 second span. Both women are gifted storytellers and also very funny and the combination is just perfect. They do love them a good f-bomb so if you're super sensitive to that you may want to pass. I went to see them live on Sunday and it was just THE BEST. I want to hug them. 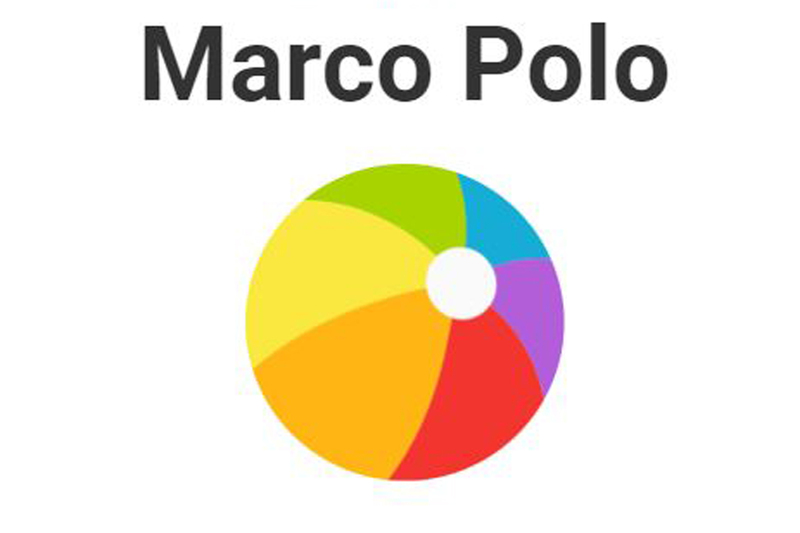 The best way to describe Marco Polo is "text messaging but with video". Or maybe "SnapChat but it doesn't disappear and you don't have a public feed." You choose the person you want to send a video to, press start and it immediately starts sending them the video. They can watch it live OR whenever they get around to it. There are a few filters (including voice filters) but they're not really the point. I downloaded this when I finally got an iPhone with some storage space and now I use it all. the. time. My sister just bought a house in Oregon so we Marco Polo all day about wall color options and decor. You can also draw so when I was trying to explain a new fireplace surround for her I just drew straight on my video so she could wrap her mind around what I was very badly explaining. You can also do group chats- I have a couple of those with local friends who I wish I could see more often but life gets in the way. It's a fun way to check in- "Look at these cupcakes I made for my kids class this morning! What are you guys up to?" or "I'm at Target and look what I found! I knew you guys would appreciate it." It just helps me feel a little more connected to the people I love. What are some things you love right now? The Time in Between and Velvet on Netflix. The first is about a 1950s seamstress turned spy and the second is about a fashion house. They are both from Spain and have subtitled but don't let that deter you. I'm so obsessed! Um those sound AMAZING. I'm going to look them up! Yes! to Marco Polo. First app in a long time to significantly improve my relationships and happiness.